We are delighted to have Sarvi back on the blog. In the past she has stopped by with a fantastic series on photography you’ll find here and here and a lovely Heart Cut-out Back Tutorial. Today she is here to contribute to our fabric shopping series. Our fabric shopping posts are a great time to remind you of Sewing Translator. We hope it will be useful to you in your travels. Sewing Translator is available in 14 languages, and if you have an iPhone or iPad you can download it to use the native iOS app off-line as well. You can find Sewing Translator in the Apple app store, and it’s free. Welcome to Los Angeles! For shoppers used to smaller or more densely populated cities, the sheer sprawl of LA can come as a shock, so I’ve split this guide into two sections–one for walking, and one for driving. 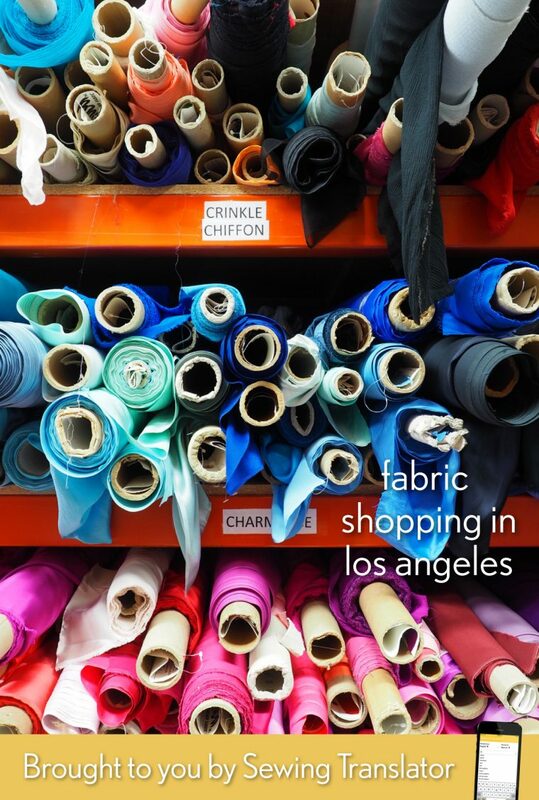 LA’s wholesale fabric district is in Downtown LA. In other cities, Downtown can refer to a central business district full of glossy skyscrapers, and Downtown LA has those too, but it also has bustling no-frills storefronts with their bargain wares in cardboard bins spilling onto the sidewalks. You can find a wonderful guide here. While the intrepid and open minded can find (and haggle over) unique items in the streetside array, my first stop is usually at Michael Levine. This well-organized group of shops (plural!) has it all, and prices are clearly labeled. 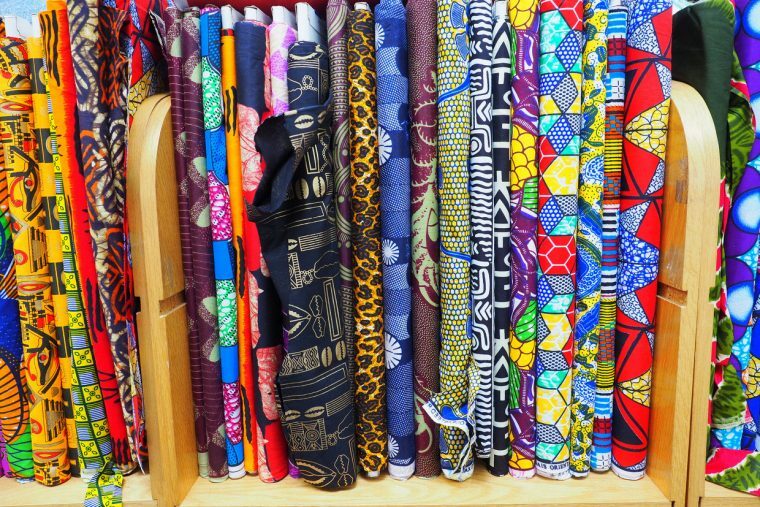 Look here for all types of fabric, notions, and accessories, including a great selection of African prints, plain double gauze, linen knits, and Liberty lawn. 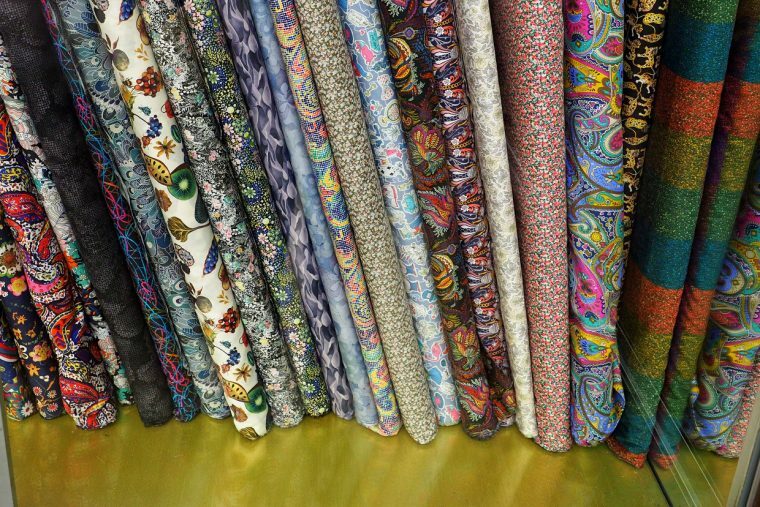 Across the street from the fashion fabric store is a second branch with bargains galore in the loft, as well as a wonderful array of home dec and upholstery fabrics. For purchases over $20, they validate an hour’s worth of parking in their small private lot, a rarity in this parking-starved area, where meters can be more costly than pay lots. 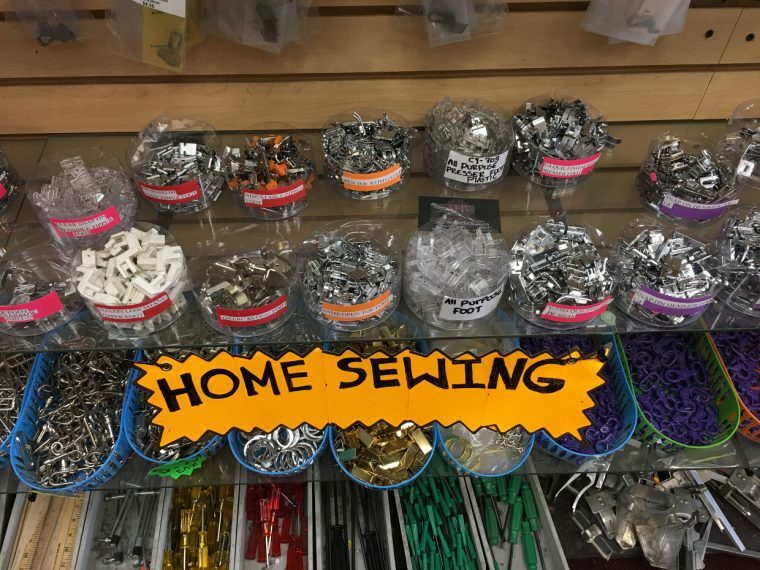 Just a few blocks away, stop in at Golden Cutting and Sewing, a very narrow and easy to miss shop full of tools, buckles, and needles. While they don’t stock my favorite 100 packs of Schmetz needles, they do have $5 presser feet that fit low shank machines, like my Viking Viva. Back in the other direction is the massive Target Trim. As you enter, you’ll find prepackaged trims to the left, good if you’re seeking a lot of a single thing for a big project, or a huge array of cut-to-order to the right, as well as a glass display case with embroidered and beaded necklines, patches, and more. I particularly like their selection of stretch lace, which is great for overlays, edging for knits, or lingerie. Do be mindful of the fact that this edge of the neighborhood can be pretty funky. You can always turn around and head back if you’re feeling out of your comfort zone. A bit farther away but worth mentioning is B. Black and Sons, a quiet and spacious shop with a sophisticated selection of fine woolen fabrics. You’ll want to take a look if you’re making a special skirt or jacket and want to invest in something of higher quality. If you’re going to make the journey to Downtown, why not do a bit of exploring while you’re there? Two places I like to visit are Kinokuniya and Grand Central Market. Kinokuniya is a massive Japanese bookstore which has those terrific Japanese sewing magazines (including some already translated into English!) as well as a really gorgeous stationery section. Grand Central Market is a “best of” food hall featuring some of the most delicious things in LA, all under one roof. I like to recommend that visitors try a gordita from Ana Maria’s. They’re a pre-gentrification vendor whose incredible cornmeal patties are split and stuffed with beans, salsa, and a filling of your choice. My favorite is the milanesa. 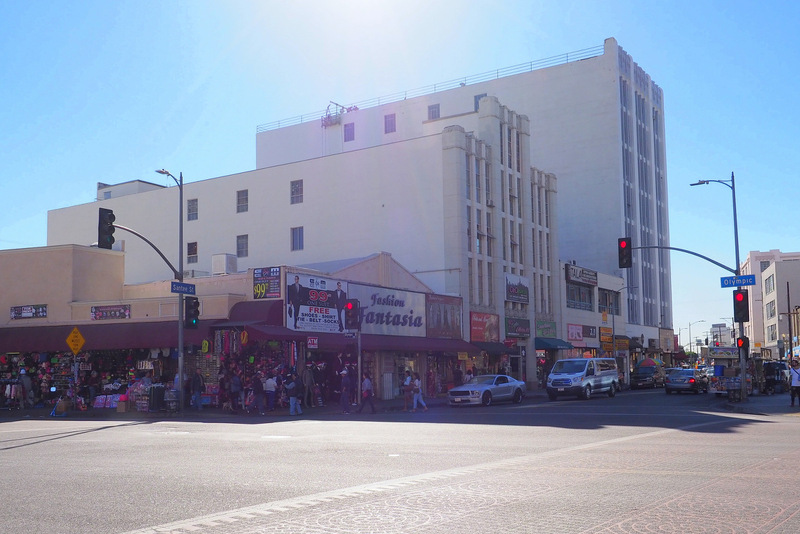 Rather than moving your car from lot to lot, why not park once and take advantage of the Dash shuttle whose different lines serve the Fashion district, Little Tokyo, and more. If you have more time, or are comfortable driving more, you have a whole host of possibilities available to you. Of course any of these could be a great single-location visit as well. 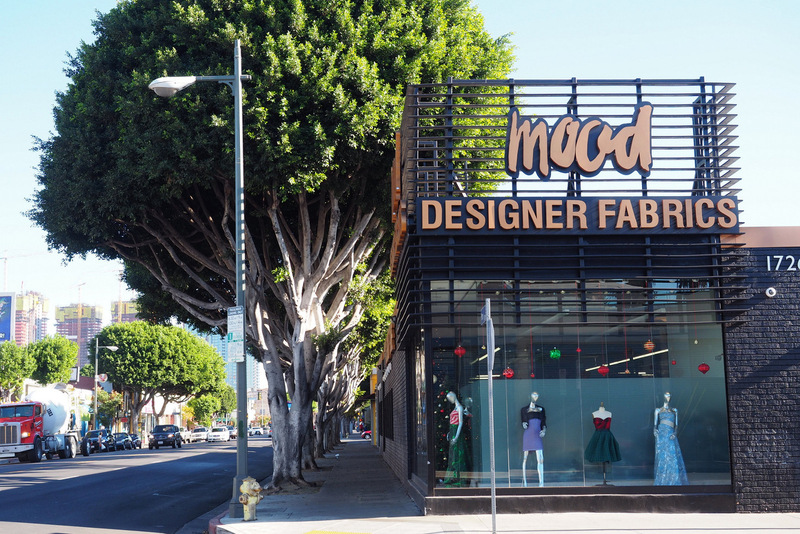 My number one choice in LA is always Mood! The local branch has very recently moved. 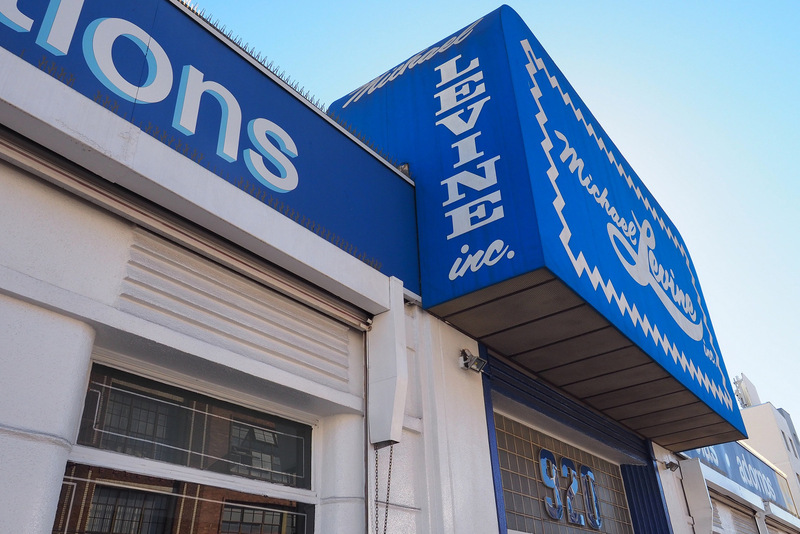 As of this writing they were open for business at the new location, but were still working on moving in their buttons and trims. The new space is located on an otherwise quiet strip of Pico Boulevard, which is a shame for those of us who’d made a habit of popping across the street to La Brea Bakery for a treat after fabric shopping, but which does, on the bright side, put it only about 10 minutes drive from Downtown LA. Their parking lot is located in the rear, along with the only entrance. 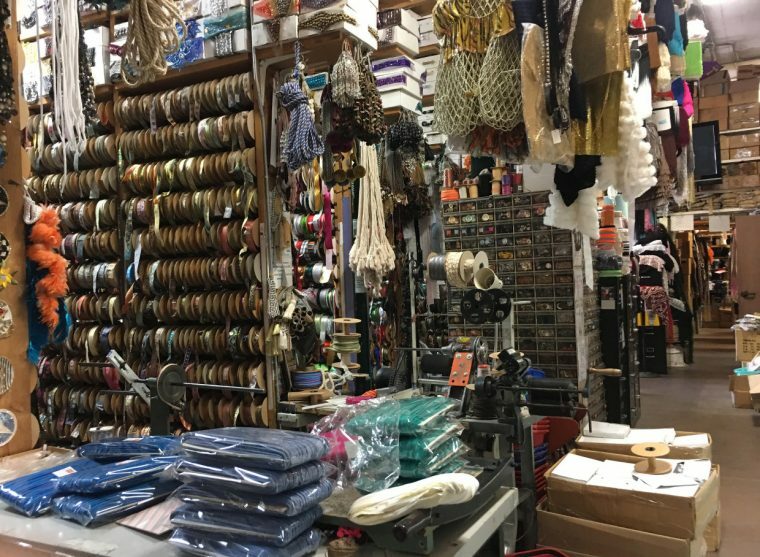 Mood is pricier than the sidewalk bins in the fashion district, but everything is neat and well-organized, and it’s all “good stuff”–no neon green minky or plasticky animal print satin here. 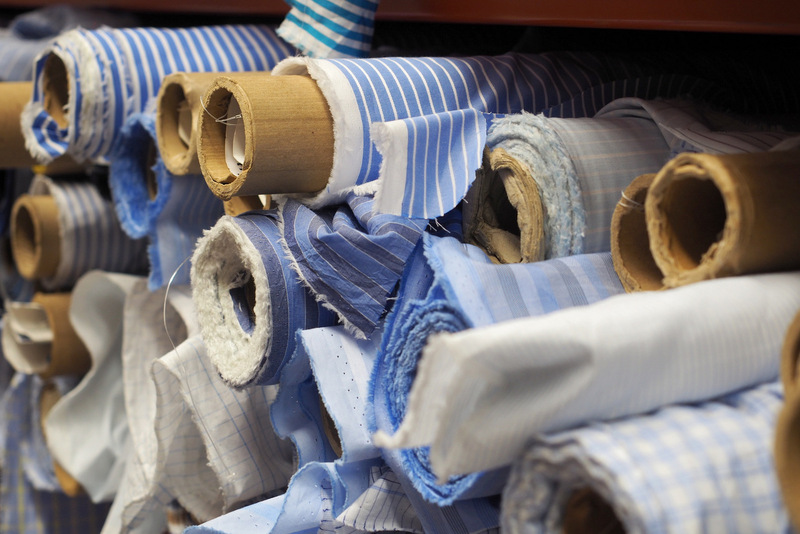 I especially love their cotton shirting, wool suiting, and every imaginable type of silk. Their button selection is also stellar, but do leave a bit extra time if shopping for buttons and trims as Ms. Shirley, who is in charge of the department, gives each customer her full attention. Thank you Mood! Back in Mood’s old neighborhood you can find The Fabric Store amidst the posh shops and restaurants on La Brea Boulevard. 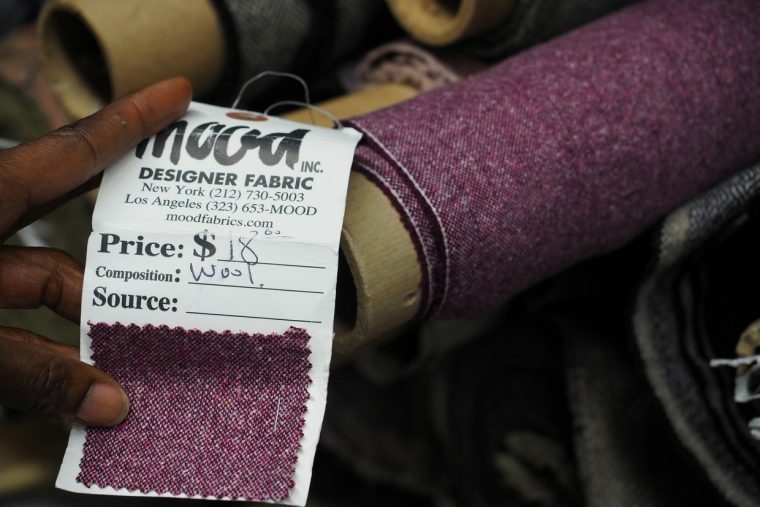 You’d imagine that the prices would be through the roof given what the rent must be in this chic part of town, but I was pleasantly surprised to find they were comparable to Mood, for unique things like their luscious range of fine merino jerseys. This shop isn’t large but every bit of the stock is high quality and the staff are very sweet. Still further west you can find F&S Fabrics, another shop that like Michael Levine has multiple sites near one another. The main fashion fabric store has a selection of necktie silks that have to be seen to be believed, as well as linen, quilting fabric, and silk satin. The prices sting but the glamorous fabrics soothe. 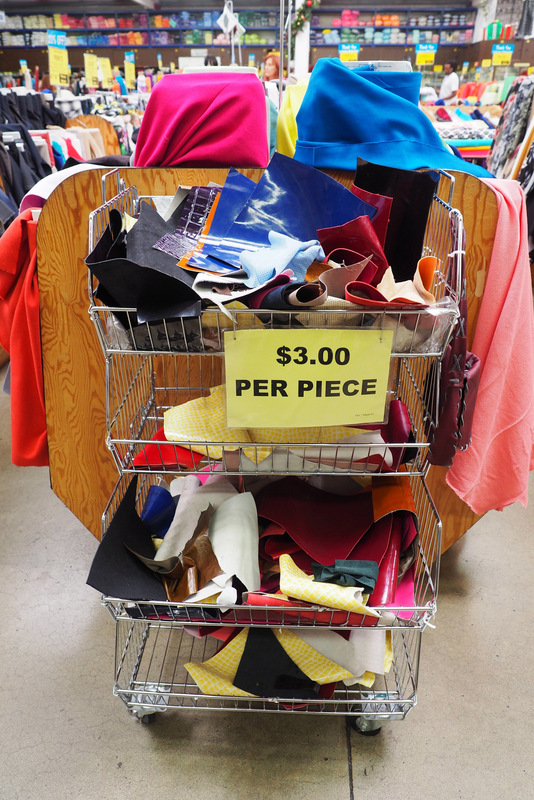 If you’re not making something extra special, have a peek across the street at F&S For Less and see if you can make something from their mostly-upholstery selections work for you. I’ve used some bargains from there for making costumes. It would a terrible shame if you came to F&S and did not take a few minutes to cross the street to visit Children’s Book World, whose worn exterior cleverly conceals a jewel of a bookshop inside, with top notch staff who know their stock inside and out. 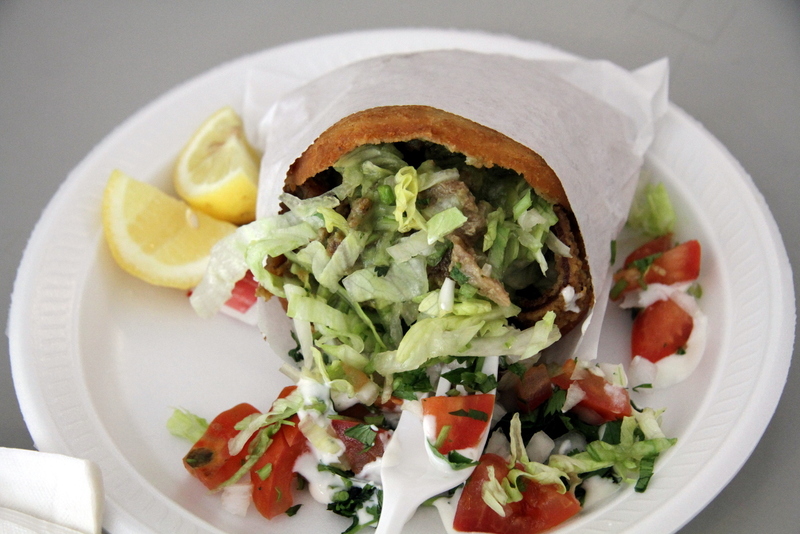 A very tasty bite can be found at FOOD, on the same side of the street as F&S. Special mention: French General. Yes! 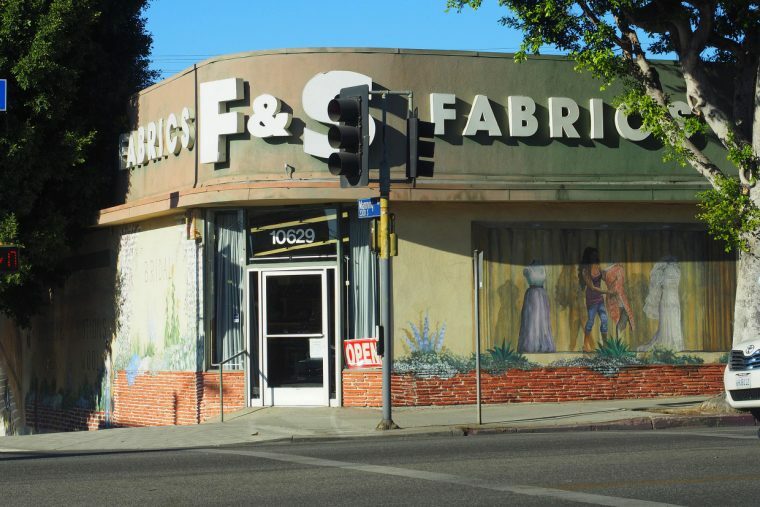 The celebrated line of dreamy quilting fabrics has a physical shop, and it’s in a little hidden patch of one of the coolest neighborhoods in LA. Their hours can be a bit odd, so this is one place where you must do a little detective work before visiting. 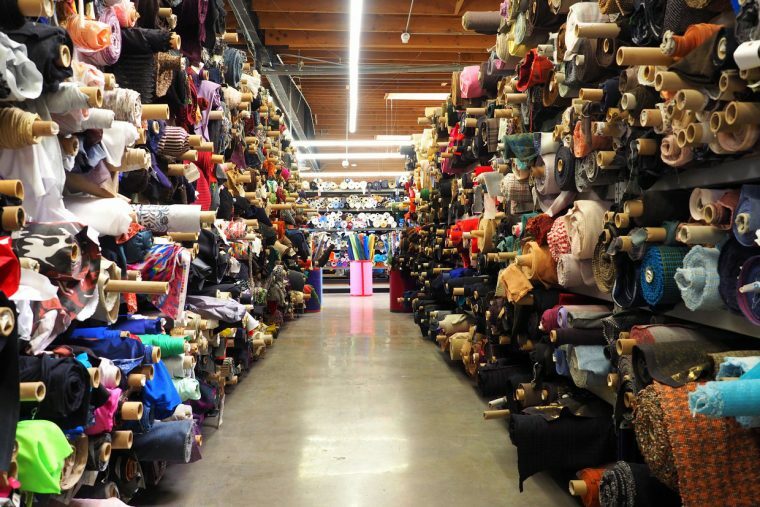 Once there, you will find a wonderland where every item is a hand selected treasure. 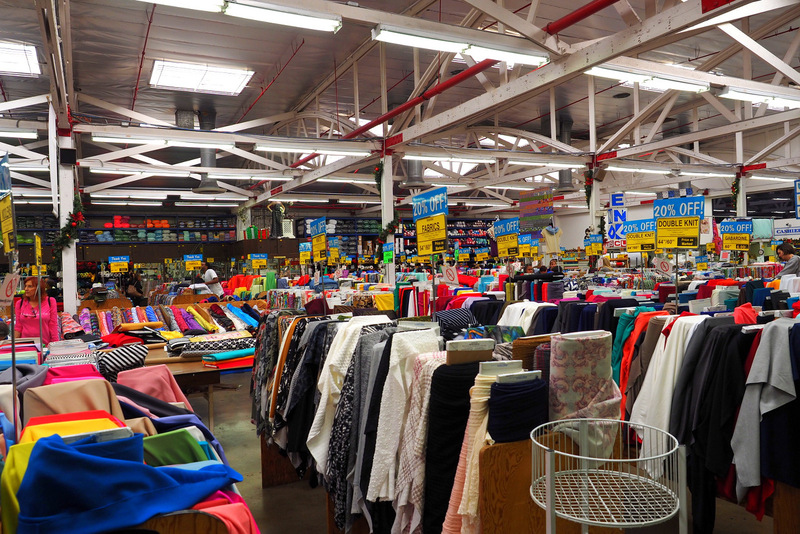 I wouldn’t go there to look for something specific, but rather go to discover and explore–antique linens, beads, velvet ribbons, and so much more. As you can imagine, a city as big as Los Angeles has an endless number of neighborhood gems, more than I can fit into a single post. You can find a few more here (I’ve included some favorite yarn shops and eateries for good measure). Please share your favorites, as well! Thanks for the tour! The Fabric Store is new it me and looks enticing. Another great place is the scholarship store at Fashion Institue of Design and Merchandising. Never know what you might find and great prices. I want to go to Mood with Sarvi… and definitely check out the funky areas. 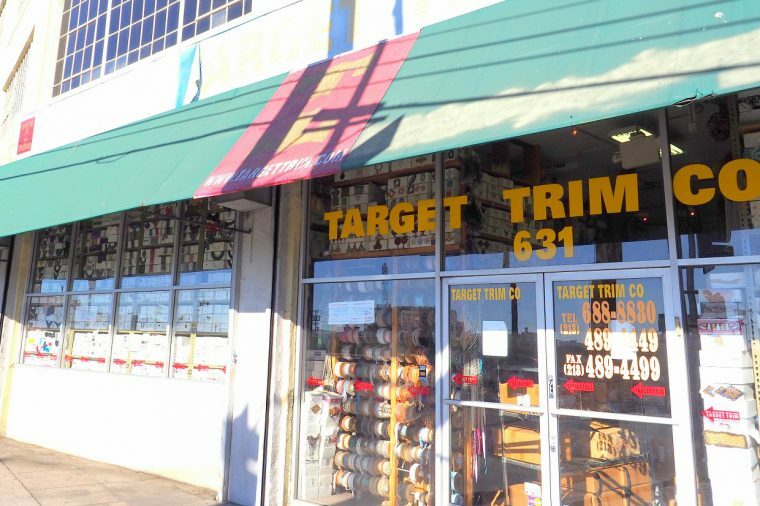 Oh that trim shop! All of this looks heavenly Sarvi, no wonder you make such lovely clothes. My comment has nothing to do with this post. I just want to take this opportunity to say say thank you so much for providing me with so much enjoyment this past year. I have sewn around 8 Play Time tunics and several Book Report dresses in the last 2 months for my 6 and 9 year old granddaughters. I own most of the patterns but these are the favored ones by my girls. This past summer the Popover sundress was highly requested. You provide a no fail way to provide clothing for little girls that looks like clothing a little girl should wear. They love when I show up with and Oliver & S creation and I love the hugs I get from them. I am their grandmother. The drafting is spot on and the directions never leavie me wondering “say what???? ?” I enjoy sewing them and I definitely enjoy how much they love wearing them. I use a lot of knits so their moms, the girls are cousins, just love throwing them together with leggings. I could ramble forever but I hope to get to meet you someday. I missed you when you came to Craft South in Nashville and now wonder if you will ever travel in the US again. Overall just a big THANK YOU goes out to what you have obviously put your heart and soul in to.I work for an apparel designer,Southern Tide, so I have an idea what it takes to pull this off. Kim, your comment made my day. Thanks so much!